Working outdoors in the winter is tough. Let’s face it, poor weather conditions create additional risks for employees and can drastically slow down productivity. Taking precautions and being proactive help keep your jobsite safe. These precautions extend to the portable restroom facility that is on-site. The portable restroom heater can be a simple solution for providing warmth and comfort to jobsite workers who may otherwise be exposed to the blistering cold. 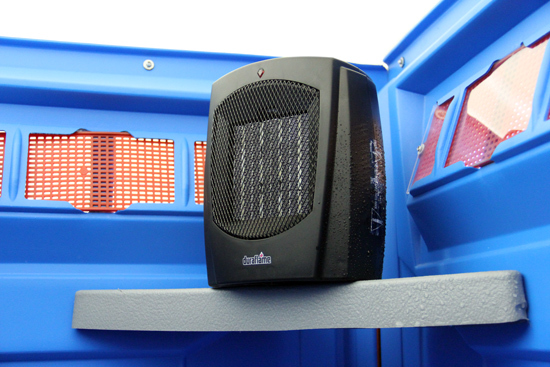 Restroom heaters can easily be installed on most porta potties and rely on a standard electrical outlet to supply power. Once installed, workers will have a more functional restroom facility. For additional information on renting a portable restroom heater call our office at 800.909.5646.